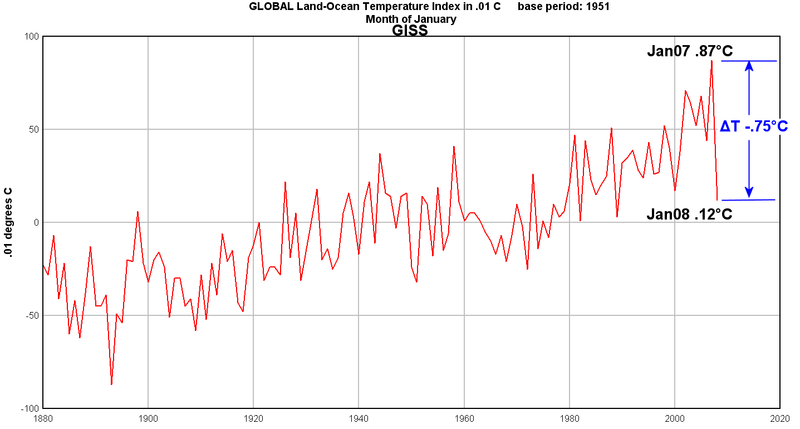 GISS Land-Ocean Index dives in Jan08, exceeding drops for UAH and RSS satellite data | Watts Up With That? Goddard Institute for Space Studies (GISS) Land-Ocean Global temperature index data was released yesterday for the month of January, 2008. Like we’ve reported before for other datasets, including the RSS and UAH satellite temperature anomalies, GISS also had a sharp drop in January. The ΔT of -.75°C from January 2007 to January 2008 appears to be the largest single year to year January drop for the entire GISS data set. This is yet one more indication of the intensity of planet-wide cooler temperatures seen in January 2008, particularly in the Northern Hemisphere, which has seen record amounts of snow coverage extent as well as new record low surface temperatures in many places. February 11, 2008 in Climate_change, Weather. It just hasn’t been “Hansenized” yet. If this trend continues, shorting carbon credits might be a good financial strategy. A heat sink will exaggerate a temperature increase–or decease–over time. Perhaps now the chickens are coming home to roost. That is, perhaps the decreases are a bit exaggerated by a real cooling because the increases had been exaggerated by a real warming, and the heat sink process is “undoing itself”. This would be a logical conclusion to draw from the LaDochy (12/2007) paper. Stan: You have real talent! anomaly better than a GCM? Remember Kasparov versus Deep Blue? Can you guess better than Hadley’s Deep Green? So set up a little contest, all in jest of course. REPLY: Hmm, FSU’s Ryan Maue might be a good choice for this. Who wants to buy squares as to the date when the .1C “correction” will be made to the data? I have been studying AGW for nearly a year now and I am amazed at the lack of evidence for the alarmist position. Practically all the data is on the side of the so-called “skeptics”. I don’t know how long it will take before the lid is blown off the hoax but I hope it is sooner that later. The solutions of the AGW crowd is messing up our planet in many ways that I won’t attempt to enumerate here. Thanks, Gary. When you lack expertise in one area (in my case – science/math) then you have to compensate in other areas. And the global warming/climate change debate does lend itself nicely to a sense of humor. Evan: Interesting observation on sinks. The true black body abosorbs everything but emits a low temperature. A reflective surface absorbs poorly but emits at relatively high temps. Meanwhile gases will meaningfully emit only at higher temps than those of our experience, say a Franklin furnace. All those wanting to bet on this year’s average temperature should have a look at the charts and see how quickly a sudden movement of temperature in either direction is reversed. We could be well above the rising trend line by the summer. Is the GISS divergence a result of a different time baseline compared to other products? Yeah, but can you just imagine how much colder January would have been had we NOT had all that evil manmade global warming? By the way, there are some curious differences between GISS and others in the 1930’s/40’s, where HadCrut and NCDC seem to show peaks that aren’t visible in the graph above. The midcentury cool period seems to be totally absent! Well, I am sticking to my guns over in the tamino open thread. Raven and Mosh and fred are slugging it out as well and so far as i can se we have a coherent argument going. A fair amount of ad hominem going on over there. I see less of it here and I think it’s important to be civil to those we disagree with. I want to–convince–the other side, not isolate and destroy them. I’ll shrug off a few personal shots in order to achieve that (although I will occasionally respond in kind without actual escalation). –GW is not really at issue, what is at issue is the amount. –Heat effects are significant to the surface temperature record. –Microsite violations are not taken into account in the adjustments. –Yes, UHI may mask microsite violations, but many violations occur in the rural stations as well (this and the above point mosh tried in vain to convey). –UHIE is probably lowballed anyway. –Satellite measurements are adjusted to conform with surface measurements (which Raven confirmed and explained), therefore it is a classic pseudo-proof (a la Fischer) to say one proves the other. –The stations out of conformity are, well, out of conformity (fred could not get this one across, for all his valiant attempts). –Heat sink effect creates an ongoing trend, not merely an offset. –Many of the violations are recent, so they affect the historical trend even if it is a waste-heat offset and not a heat-sink trend. –Published CRN violation effects are estimates but not necessarily maximums. –The CRN thinks microsite violations matter, and considers the Rev’s work significant. If any of these arguments are offbase, I’d like to know. REPLY: Thanks to all of you for taking the time and making the effort. The only thing I see missing on site issues is the MMTS cable length bias that has crept in as the Stevenson Screens have been converted to MMTS, and lack of adequate tools/funding for installs for COOP managers at WSFO’s has resulted in them not being able to go under walkways, driveways, etc, resulting in MMTS being closer to buildings etc, even though cable spec allows for 1/4″ mile. For the network, the point should be made to illustrate John Goetz recent analysis on CA that shows how the thinning of stations worldwide has occurred, reducing the oversampling and in many countries resulting in undersampling. Thus it makes it even more important to know the quality of the measurement environment for those stations in thinned out areas. And those violations occurred continuously during the late ’70’s-date period, right? REPLY: MMTS started to be implemented in the mid 80’s, thanks Henry! OK, I had to post this up here. I need this answered. Are they total morons? Or are they just so unorganized they don;t know what each other is saying? I’m in stunned amazement this morning. Just…speakless…. I’m new to this debate, although I tend to side with those who believe global warming (or climate change, as they call it now) is more natural than manmade. As I was reading through the comments I noticed there are lots of abbreviations that are used and I’m sure most of those who are well educated in this subject are very familiar with. However, I am not. Can anyone define these for me: UAH, RSS, CA, WRT, GCM, NCDC, UHI, UHIE, CRN, MMTS, COOP, WSFO. This would be much appreciated. REPLY: Good point, I’ll endeavor to put up a glossary of some sort, in the meantime if anyone else wishes to chime in, feel free. I think the the sampling for areas not covered by stations, which I think GISS uses a 1200 square kilometer grid, is causing GISS to swing bias high and low. This is because they include geographically different areas such as desert and ocean combined. So if you have a warming trend then you get a bias in the high temperature range and if the temperature goes down then it is bias lower. I have also heard that it is how the polar regions are treated, but as far as I know even if you include or exclude the polar data it can’t account for all the bias. I hope this makes sense. I clipped the following from Dr. Pielke’s blog. It was complied by Philip Mulholland (thanks! ), with no contribution whatever from me. I have found it a useful tool. IMHO like any science, needs its own specialised language and the following list is merely my “work in progress” attempt to catalogue some of the myriad of TLA (aka three letter abbreviations) that abound in the papers and comments listed herein. Use this link. Go to comment #65. There is a lengthy list of climate acronyms posted by Phillip Mulholland. A crash course set of posts introducing the concepts and positions would be very helpful. 1. If we create something called a global temperature that temperature should be very stable. Since the earth always has the same exposure to the sun then the energy received is always the same. Day and night should be balanced equally along with seasonal variations. On a monthly scale taking all variables into consideration the temperature should rise or fall very little. If not, then we need to decide where the excess energy to heat or cool the planet came from. 2006 1 0.368 0.444 0.291 0.144 31. 0.328 0.428 0.228 0.263 365. 2006 2 0.438 0.753 0.122 0.305 28. 0.331 0.451 0.211 0.237 365. 2006 3 0.325 0.441 0.209 -0.014 31. 0.329 0.442 0.216 0.193 365. 2006 4 0.183 0.207 0.159 -0.117 30. 0.310 0.411 0.209 0.154 365. 2006 5 -0.011 0.205 -0.227 -0.248 31. 0.290 0.411 0.170 0.124 365. 2006 6 0.154 0.349 -0.042 -0.038 30. 0.283 0.405 0.160 0.108 365. 2006 7 0.206 0.321 0.091 0.215 31. 0.273 0.396 0.149 0.101 365. 2006 8 0.256 0.277 0.235 0.232 31. 0.278 0.394 0.162 0.100 365. 2006 9 0.274 0.390 0.158 0.049 30. 0.271 0.391 0.152 0.085 365. 2006 10 0.341 0.338 0.343 0.247 31. 0.267 0.381 0.153 0.098 365. 2006 11 0.288 0.315 0.260 0.165 30. 0.258 0.367 0.148 0.092 365. 2006 12 0.308 0.541 0.075 0.415 31. 0.260 0.380 0.140 0.112 365. 2007 1 0.594 0.762 0.425 0.582 31. 0.279 0.407 0.151 0.150 365. 2007 2 0.450 0.744 0.156 0.401 28. 0.280 0.406 0.154 0.157 365. 2007 3 0.403 0.612 0.194 0.152 31. 0.286 0.420 0.152 0.171 365. 2007 4 0.244 0.344 0.144 0.009 30. 0.291 0.432 0.151 0.182 365. 2007 5 0.199 0.234 0.165 0.001 31. 0.309 0.434 0.185 0.203 365. 2007 6 0.203 0.375 0.030 -0.021 30. 0.313 0.436 0.191 0.204 365. 2007 7 0.255 0.317 0.193 0.074 31. 0.318 0.436 0.199 0.192 365. 2007 8 0.286 0.325 0.247 0.110 31. 0.320 0.440 0.200 0.182 365. 2007 9 0.201 0.240 0.162 0.075 30. 0.314 0.428 0.201 0.184 365. 2007 10 0.231 0.241 0.221 -0.129 31. 0.305 0.419 0.190 0.152 365. 2007 11 0.209 0.165 0.254 -0.052 30. 0.298 0.407 0.190 0.134 365. 2007 12 0.114 0.150 0.077 -0.179 31. 0.282 0.374 0.190 0.084 365. 2008 1 -0.044 -0.115 0.027 -0.213 31. 0.228 0.299 0.156 0.016 365. Not to be totally naive, but wasn’t last year the warmest January in the series? And this January the coolest only since the 80’s? Doesn’t it make sense that there might be a larger than usual reaction? Or some anomalies distorting the record? But I believe the real problem is the rapid and unusual shifts in weather patterns. We can’t prepare for shifts that we can’t predict or have never been used to preparing for (like increasingly violent hurricanes). Global warming isn’t a problem unless you care about preserving human civilization. And in that sense, global warming is a “natural” way for the earth to eradicate the problem – human beings. MODERATORS REPLY: This post is so misinformed on so many levels, such as the Little Ice Age had little to do with ocean currents and everything to do with changes in the sun. I’ll leave it up to the team to educate you as to why. If you’d paid attention to the wording, “moderator,” rather than having a knee-jerk reaction, you might have realized that my reference to the Little Ice Age was about why climate change is painful for civilization as we’ve created it. It did not in any way link the causes of Little Ice Age and our current climate situation. I am well aware that these causes are different. It’s the underlying result that *may* connect them and that is what specifically concerns me. But clearly, I was misinformed about the purpose of this site. I thought this might be a site for an exchange of ideas, not insults. I realize now that you just want to preach to the choir so I’ll leave you and your “team” to your masturbatory exercises. MODERATOR REPLY: Well, I misunderstood your original paragraph, and for that I apologize. Thank you for clarifying. However there’s no misunderstanding of your use of the phrase “masturbatory exercises”, which is quite uncalled for. A simple “You misunderstood what I was getting at…” would have sufficed. Lets look at this phrase: “global warming is a “natural” way for the earth to eradicate the problem – human beings.” Are you saying that humans beings should be eradicated or something else? The “team” is people that frequent the site and help others understand concepts or help answer questions when the workload becomes too much. Take for example, Evan and his posting of abbreviations today to help a new visitor understand what some obscure abbreviations mean. So it looks like we both misunderstood what the other was trying to say. It’s the Internet, it happens. How you choose to deal with misunderstandings is what makes the difference. I wish I could claim credit for doing so. Full credit to Phillip Mulholland for this excelent list. Since so much of what’s reported re AGW relies on the GCM’s then you’d think there’d be a mountain of data… but there’s none that I can find, just claims and a few papers that discuss the outputs in general terms, with no way to look at what they had to fudge and/or set up to get the thing to run. Perhaps my google fu is poor. Perhaps this is a secret and only the high priest can see it. I can’t tell which is which. Solar Cycle 23 ended Mar. 07 SC 24 has not started. 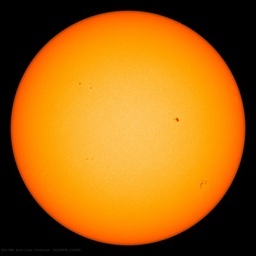 No sunspots a sign of weak solar magnetic field which allows more high energy cosmic rays to break up molecules in the upper atmosphere, ionized debris forms condensation centers, increased clouds incr. albedo and shade earth. Check out http://solarscience.auditblogs.com for details. Remember that V.P. Gore’s presentation of his film; ‘A Pack of Irresponsible Lies’ presentation in the N.Z./Australia area was somewhat spoiled by record cold and snow while here in the Pacific N.W. summer was cold and damp and this winter we have a snow pack that is already larger than a normal winter with some months to go and our lowland high temps have been below normal most days. Maunder Minimum anyone? — then I wonder how the GCM’s account for this in the dire prediction category. I take her statement to say that climate (fueled by AGW) is so complex that anything could happen, which if true, ought to make it rather difficult to predict the climate of 2108. If I’m at all understanding the general idea of what the GCM’s are doing, it would seem that they use simpler models of known physics and sprinkle in variables which ought to supply forcings and such, and then plot the trendline and call it a day. On the other hand you have no end of AGW believers who say the exact same type of thing as the poster I’m quoting… is there a source for this that made it from a GCM? Where do these things come from (outside of schlocky hollywood special effects extravaganzas) ?? Pingback: Where have all the sunspots gone? « Watts Up With That? I am sorry but I cant find the discusssion Evan refers to above can someone help me? I was referring to his post labeled 22:12:10. sorry I didnt mention that above. Didn’t anyone notice that the chart above only charts the data for the months of january, arbitrarily leaving out 11/12ths of the monthy climate data. This is clearly a dishonest representation of the data, is it not? REPLY: “dishonest representation of the data” ? I resent that implication, and the graphic is clearly labeled. It says “Month of January” right in the title of the graphic. The data plotted is for January, not yearly. GISS provides every month of the data individually. Also, the title of the post says “…in Jan08”, not for the year 2008. The post was about comparing the month of January 07 to the month of January 08. The weather events of January are discussed, not the events of the year. The idea here is to show the change related to those events. When the year 2008 data is complete I’ll then compare the entire year of 2008 to previous years. MODERATOR NOTE: FYI, Since the above named blogger has adopted a policy of placing asterisks in url’s that link to “denialist” websites, so that “search engines don’t increase the relevance” (see his previous thread on Joe D’Aleo’s work) I’m returning the favor, but only for this particular blog. Seems only fair. If he drops this policy, and actually posts that he does, I’ll leave links to his blog unchanged.. I think anngarner may be conflating the Little Ice Age with the Dalton Minimum that froze Napoleon’s army in 1812. If this is cold now, does that mean solar winds from sun spots contribute to the planet’s net heat input more than formerly thought? Would a stronger earth magnetic field make it worse? It’s higher water vapor positive albedo feedback i.e. where temp’s below 32F higher water vapor = greater snow across land mass, larger measurements snow cover, and sea ice a function earlier melt = less salt water more freshwater = more sea ice occurring during an off the sharts La Nina. Sunspot cycles way foolishly overated, but has an effect but not enough to show up unless dramatice like a Dalton, Maunder or milankovitch. it’s La Nina, increased baroclincity for current storm track etc. I’m afraid I don’t see what the fuss is about. This drop from Jan ’07 to Jan ’08 is a big one, to be sure, but it still leaves Jan ’08 as significantly above the baseline. Further, the chart as a whole shows a consistent, obvious upward trend in January temperatures, and even this 07-08 drop isn’t enough to destroy that. What exactly are you suggesting here? I’m with Evan Jones. Evidence of cooling is OBVIOUSLY further proof of man-made global warming. If it gets colder and colder every month for the next 20 years until earth is an iceball that will simply continue to be a wake-up call that global warming is real and getting worse. Really? A citation would be nice. There was an event thousands of years ago when a huge ice dam burst letting a reserve of fresh water, for which there exist no analog today, flowed into the ocean in a matter of days or weeks. This did affect the Gulf Stream salinity, probably. I would be interested in hard science which lists this as a possibility today, as opposed to speculation in the popular press or in Hollywood movies. Also, the cold in the north would be balanced by warm to the south, as heat would be trapped in the tropics. According to that graph we still appear to be above the average temperature. I gather from their discussion it is about as good as documentation gets along these lines but I cannot verify. Pingback: Another Global Temp Index Dives in Jan08, this time HadCRUT « Watts Up With That? to: Gene : GAMMA RAYS. Match up the charts, especially sept, oct, nov of 2005. to: Evan Jones: Q: If Heat sink is the ultimate tipping point to destruction….there have hundred cyclical peroids when the planet HAD NO POLAR ICE. Was the planet completely destroyed then? I’m an Advanced Placement Environmental Science Teacher in a suburban High School. My first goal as a teacher is to make kids think, the second is not to give out any bad information as fact. Envi Sci runs the gammot of Science/political hot buttons from creation v evolution to climate change. I am interested in opinions on the recent drop in temperature and the comments here seem to be focused enough to hope for some useful replies. i intend to present the current theory/hypothesis as it is held by the “majority” and then present the dissention as best I can research it. If I can summarize what I have as the base line data I’d appreicate some feed back. 2) the data for ancient temperatures is based on ice core analysis and geologic date including sealevel changes, fossilized palnt and animal records adn so forth. The methods reflect credible scientifc work and principles. 5) Ice core data also provides data on the composition of the atmosphere specifically Carbon Dioxide. Like the temp data I mentioned the method/techniques behind the data seems to be regarded as sound science. 6) Carbon dioxide levels are trending higher. It is relatively easy to estimate the amount of “carbon” that has been reased from underground “storage” though fossil fuel use. 8) The idea that carbon dioxide traps heat within the atmosphere is an accepted phenomona. without a greenhouse effect earth’s climate would be substantially different. Here are some questions I am trying to form opinons on, and I want my students to form opinons about as well. 1) It seems that a one yr (month jan) jog in a 100 yr trend line up or down is hardly a basis for confirmation or refutiation of a hypothesis. Why the big deal over a single datum? 2) To my eye it does not appear that a one hundred year increase was earased in one season. It also seems that a single data point would have to be well outside the extremes of the data set to signifcantly alter a running mean. Wouldn’t the temperature trend in a more thermally stable medium such as the oceans be more valid and aren’t these temperatures increasing? 3) Solar activity is advanced as an alternate expalnation for a warming trend and with the occurance of the onset to the next solar cycle “delayed” there seems to be a rush to atribute the falttening of temperature rise to solar activity. I seem to recall that the correlation between solar cycle and temperature fluctuation was relatively weak? 4) Malkinovich cycles are also offered as a possible explanation. Again isn’t the correlation fairly weak or at least the currnet positions of the earth don’t fit the argument? 5) ice core data, offered by http://www.grida.no/climate/vidal, shows a strong correlation bewteen repeated cycles connecting CO2 and temp over a 400,000 year period ( I can’t post the graphic) . Why wouldn’t we assign this kind of data a great deal of significance inteh debate over causality. 6) isn’t weather generally viewed as short term variations and climate regarded as the longer term trend in temperature and moisture distribution.? Again why a knee jerk either way to a recent temperature event when the event seems to be a change in the weather not a change in the climate. Sorry if the questions are too “elementary”. I hope you won’t scoff at my lack of facility in the dicer details. Before you fire back please be restrained if I’ve offened you I will share your ( editied) thoughts with 50 17 year old future citizens. fIf you care to share your credentials I do suggest my students consider the source) So make your best arguments for them not for me…. Looks like the little ice age is over already. Feb 08 data jumped back up to .26C. Hope you enjoyed the winter. The same-month Jan. 2007-`08 drop is not the largest movement on the GHCN record. What is the significance of the same-month Feb. 1994-`95 rise of 0.76 degrees? Hey guys, just thought I would pop by and say that temperatures have returned to normal err well normal to Hansen. I am skeptical but it is worth looking at. GISS reports a increase for Feb and March of +0.26°C +0.67°C respectively. Worth our consideration for sure. I see nothing out of line with Nclark’s comments. They are thoughtful, intelligently phrased and logically and scientifically considered. That the mean of global temperature measurements is rising can hardly be debated. The correlation between CO2 levels and observed temperature variation is strong. Although that in itself is not meaningful, there are logical reasons to assume that rising CO2 levels would cause rising temperatures arounf the globe, and the observed correlation strongly supports those reasons. A more debatable subject would be the future extent of warming due to the cause. And even more open to debate is the effects of that warming, and the magnitude of those effects. As time passes, and data is amassed, the above debates will settle down; as the future trend of warming becomes the past record and as some effects materialize and some don’t, the list of possible paths will become populated with materializing real ones. Over time, perhaps four or six decades, the real picture will emerge, and it will not be exactly any of the pictures painted by proponents and opponents of today, but a blend of them; perhaps worse than any, perhaps better than most. If it is better than most, the people of 2080 or 2100 will read of today’s debate and shake their heads and smile and wonder about the ignorant people of 2010. If it is worse than any, the people of 2080 or 2100 will read of today’s debate and shake their heads and cry and curse the ignorance of the people of 2010. They may ask why that, in 2010, inaction was chosen when action could have not only averted a catastrophe, but formed a base of an incredible technological revolution which replaced the inefficient IC engine and the pollution of fossil fuels with clean energy, reinvigorating the American, and global workforces, not only creating a global economic boom but, as a side benefit, insuring against the possibility that global climate change as caused by human activity would not happen? We of 2010 will not answer; we will be dust. Some say when we die we will be held accountable for both our actions and inactions. Believe that or don’t, the logic and the ethic of positive action seems unassailable. So Greg, you’re a big proponent of nuclear or just tilting at windmills? Some of it is, but some of it is based on tree ring data that is quite controversial. 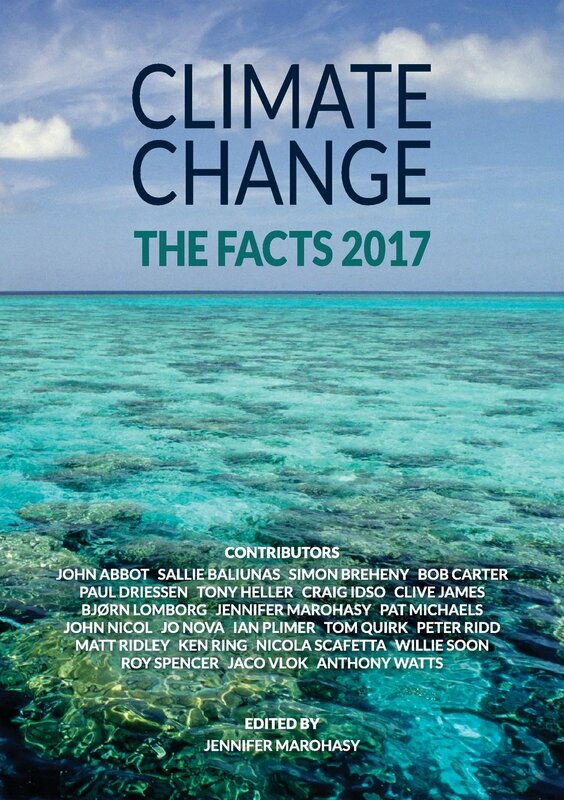 I would reference you to climateaudit.org where you can have a look at a critical look at the Mann et al work. It is very difficult to reconcile this data. Past (and present) data is adjusted and no one can say for sure that it has been done properly.. It is even more difficult to reconcile this data with paleo data. Climate operates on a millennial time scale and we have a 10% or less sample of an unknown chunk of a single cycle that is of dubious quality. I would take issue with that statement. Temperature rise has been pretty constant. Anecdotal evidence is exactly that and has little place in science. Moreover, the specific examples you site are unlikely to be related to atmospheric temperatures. Also, the data we have is on such a short time scale that it is pretty meaningless at this point. Glaciers have been thinning since the end of the ice age. The northwest passage has been navigated before. No one knows how often ice shelves collapse or for that matter the long term mechanism that causes it. It is clearly warmer. As per your #1 above. It might be important to point out that ice core data has very low resolution. I.e., it cannot say much about a specific year or even decade. Climate operates at the century and millennial time scale. This might be an excellent exercise. Estimate the annual contribution of man-made CO2 to the atmosphere and compare that to natural oceanic outgassing and/or a Mt St. Helens event. In addition, talk obout equilibrium. See my comments below about Henry’s law. I.e., what happens to the carbon once it is released. What is the carbon cycle? CO2 does not necessarily coincide with fossil fuel use. It has been much higher in the past. Paleo-origin is not a slam dunk for man-made. Natural outgassing from the oceans could well be paleo – especially if it is from methane-hydrates. This might be a good segue to talk about Henry’s law and equilibrium. Perhaps it is even possible for your students to estimate the Henry’s law constant for CO2 and seawater over a small change in concentration and temperature (it will be approximately constant for a small delta). That is pretty much undisputed. What is disputed is the relative sensitivity for a doubling of CO2. Also controversial is the direction and magnitude of any feedback mechanisms. I think: Human causality, extent, beneficial or not? Also, it is not climate change. It is the proposition that Man’s use of fossile fuels is catastrophically warming the planet. What are the scientific principles that must be met for a proposition to be elevated to a theory? For me, it is the lack of transparency in the manner that the data is collected and adjusted. Some of the adjustments seem to fly in the face of reason for example, a measurement in 2008 affecting the adjustment of data from decades prior. But I agree. A single data point is just weather. If you are a regular at WUWT you know that Anthony has done a great deal of work regarding the quality of the surface station measurements. It is interesting to see how individual data points stack up for stations vs satellite. I believe that that does give some insight into the quality of the data gathering and adjustments. No. The oceans appear to be cooling at least in the short term. The 100 years of warming you speak of did not happen in a straight line. PDO cycles are roughly 60 years in duration, 30 warming and 30 cooling. I believe that much of the data watching is because some believe that we have flipped to another 30 year cooling trend. But the bottom line is that no one knows much at all about the oceans. The solar correlation IIRC is at least an order of magnitude better than the CO2 correlation. But correlation does not prove causality. The climate is a chaotic system that is in constant adjustment to a multitude of factors, many of which I am sure we are still ignorant about. No one can say what factors are changing, how fast and by how much. 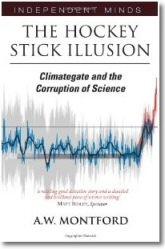 No one knows what the hysteresis of the climate is. I.e., if you could hold everything constant and let the climate come to equilibrium and then make a step change how long will it take the planet to reach a new equilibrium. I think it is a mistake to look for a “Cause” man-made or otherwise. Climate is the sum of an incredibly complex system that is not well understood at all. Dunno. Have to pass on that one. Your link did not work for me. Ice core data clearly shows that CO2 trails temperature change. This is pretty much undisputed. . It depends on what you mean by short term. IMO anything less than a millennial is short term when it comes to climate. Even that can be considered short term. For example you could speak of the climate during the period entering a great ice age, the climate at the heart of a great ice age or the climate during an interglacial period. Climate is not static.